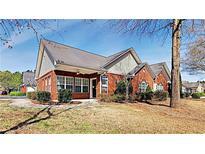 Find Powder Springs, GA Homes for sale. View Photos, Maps and MLS Data Now! Huge Unfinished Basement Bathroom Fittings Installed And Electrical Wiring. 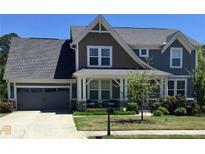 MLS#8568825. Pattman Realty & Associates. 2-10 Builder'S Warranty Is Standard. Estimate To Complete: March 2019 MLS#6540369. Kfh Realty, Llc.. Some Pictures Are Of A Finished House Of The Same Floor Plan & Not Of Actual House MLS#6540380. Kfh Realty, Llc.. Builder'S Warranty Is Standard. Estimate To Complete: March 2019 MLS#6540344. Kfh Realty, Llc.. Builder'S Warranty Is Standard. Estimate To Complete: March 2019 MLS#6540366. Kfh Realty, Llc..
Community Backs To The Silver Comet Trail. Estimate To Complete: March 2019 MLS#6540348. Kfh Realty, Llc..
Community Backs To The Silver Comet Trail. MLS#6540371. Kfh Realty, Llc..
Community Backs To The Silver Comet Trail. Estimate To Complete: March 2019 MLS#6540342. Kfh Realty, Llc.. It Features A Formal Dining Room, Den With Cozy Fireplace, Open Kitchen With All Working Appliances, Kitchen Overlooks Back Deck That'S Perfect For Entertaining, Spacious Master With On Suite Bath, Master Bath Has Separate Tub/Shower And Dual Vanity, Unfinished Basement Ready For Expansion & Two Car Garage! Call Today! MLS#8566040. All 3 Realty Llc. Villas Of Seven Spring - Walking Distance To Shopping And Dining. Come View This Home Today! MLS#6530559. 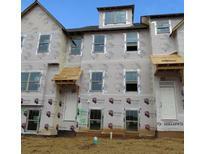 Offerpad Brokerage, Llc..
Holland Woods - New Costco Coming Just 2 Miles Away. MLS#8556193. Atlanta Communities. Some Pictures May Be Of A Finished House With The Same Floor Plan & Not Of The Actual House. Estimate To Complete: March 2019 MLS#6529160. Kfh Realty, Llc..
Community Backs To The Silver Comet Trail. MLS#6529135. Kfh Realty, Llc..
Community Backs To The Silver Comet Trail. MLS#6529167. Kfh Realty, Llc.. Builder'S Warranty Is Standard. Estimate To Complete: March 2019 MLS#6529139. Kfh Realty, Llc.. Builder'S Warranty Is Standard. Estimate To Complete: March 2019 MLS#6529148. Kfh Realty, Llc.. Builder'S Warranty Is Standard. Estimate To Complete: March 2019 MLS#6529146. Kfh Realty, Llc.. Village At Seven Springs - All Applinaces Stay Including Washer/Dryer. Community Has Swim/Tennis. MLS#6527496. Keller Williams Realty Signature Partners. Defoors Farm - Hurry Bring In Offers This Won'T Last. MLS#8551450. Gussmann Realty. 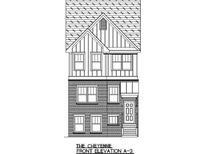 Cedar Mill - Includes 3 Large Sized Bedrooms And A Loft Area On The 3rd Level. MLS#8550714. Keller Williams Rlty First Atl. Echo Mill - Ready To Move In And Make It Your Own. 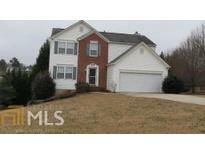 MLS#8547221. Re/Max Center. All Offers With Pf Or Pre-Approved Loan.No Blind Offers. Attorney Perrie&Associates Llc MLS#8549100. Keller Williams Rlty Cityside. Park Place - Wooded View! Great Location! Close To Everything! MLS#6520325. Era Sunrise Realty. Oakwind - Conv. To Shopping, Restaurants, And Schools. MLS#8545121. Maximum One Grt. Atl. Realtors. Carrington - The 5Th Room Downstairs Doesn'T Have A Closet/Actually A Bonus Room/Office MLS#8541059. Vanallenwhite Realty.